The MultiPath™ technology offers a powerful approach for rapid and sensitive detection of diagnostic markers directly in complex sample matrices. The combination of highly sensitive non-magnified digital imaging coupled with specific targeting provides the ideal platform for high-performance, highly sensitive testing covering a broad range of diagnostic and infectious disease applications. 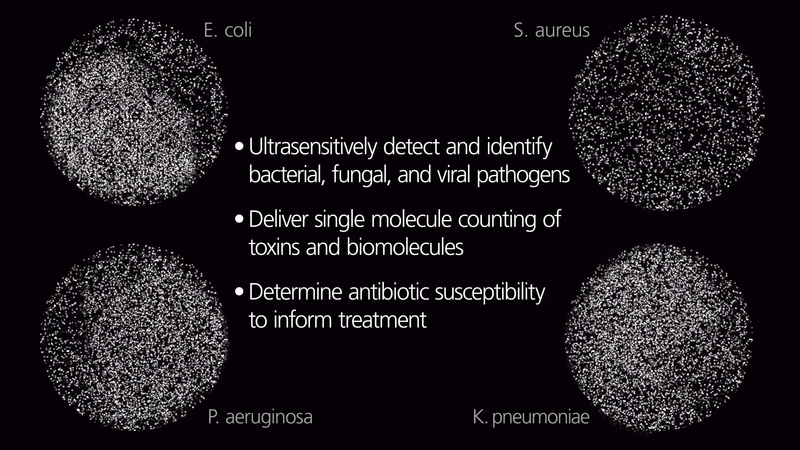 Our technology provides true multiplexing capability, allowing both flexible and ultrasensitive detection of bacteria, fungi, viruses, toxins, biomarkers, and diagnostically important human cells. The same technology can be applied to rapidly determine differential growth patterns of selected pathogens under the presences of antibiotics, making it an ideal tool for determining susceptibility of multi-drug resistant bacterial infections. First Light’s assays contain a proprietary dye-cushion liquid layer that optically sequesters the sample and unbound fluorescent labeling reagents from the optical imaging surface. 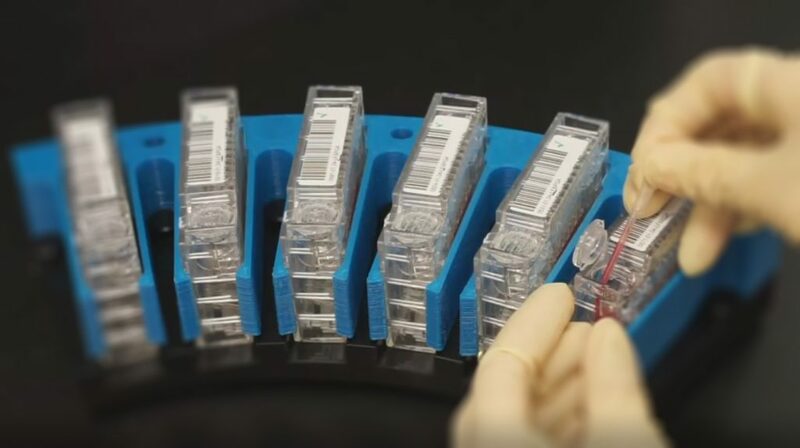 Our “special sauce” greatly increases the assay signal to noise ratio allowing ultrasensitive detection while also eliminating the need for sample preparation and wash steps with the added benefit of significantly streamlining test workflow. First Light test cartridges are smartly designed to maximize ease of use and minimize operator sample preparation steps. The cartridges are barcoded, lot controlled and contain all the required reagents to perform the test. The tests are robust to sample matrices and collection devices including urine, whole blood/plasma, stool, and swabs. In addition, each test has built in positive and negative controls to further enhance ease of use and integrity of test results.